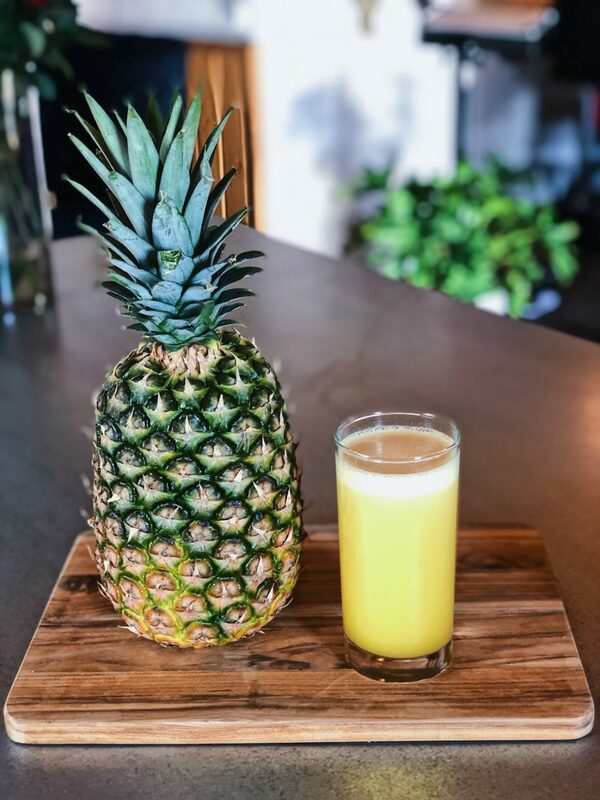 What if I told you there was a juice you could make at home that you and your kids will LOVE! Well let me share a little story with you. The other day I was juicing and In the middle of my creations, Peyton decided to step into the kitchen. Like a food competition judge, ready to give critical feedback. He asked what I was doing and I told him I was juicing. I showed him how to juice and what the fruit & veggies look like when they go through the juicer. 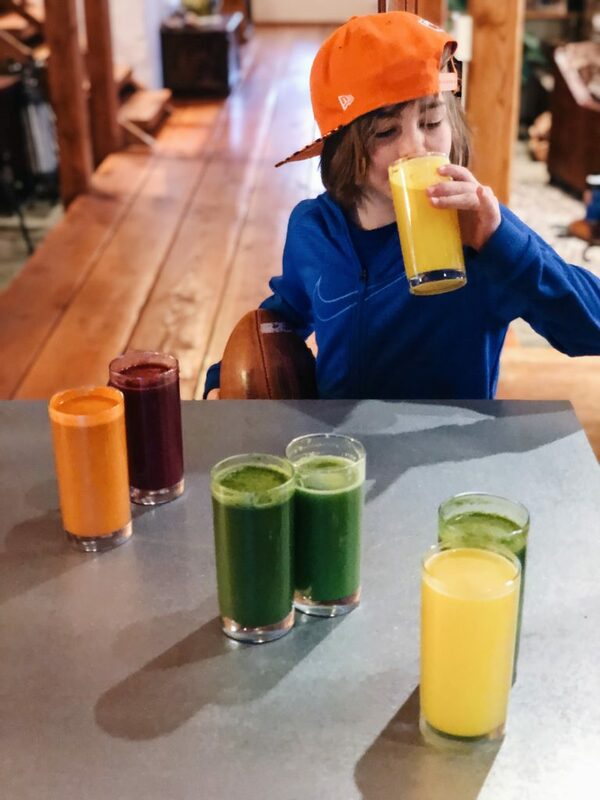 Of course after seeing the juices being made he had to try them! All of them! I handed him the 7 juices one by one and he began taking sips of each drink. I waited curiously to see how he’d react…. It was like I had won an Iron Chef competition! Of course the “Spongebob Juice” (aka pineapple juice) was one of his favorites! So naturally, Peyton had to tell his football team all about it! Long story short we may or may not of gone through 4 pineapples over the weekend!! But who could complain when your kids are drinking fruit & veggies!! 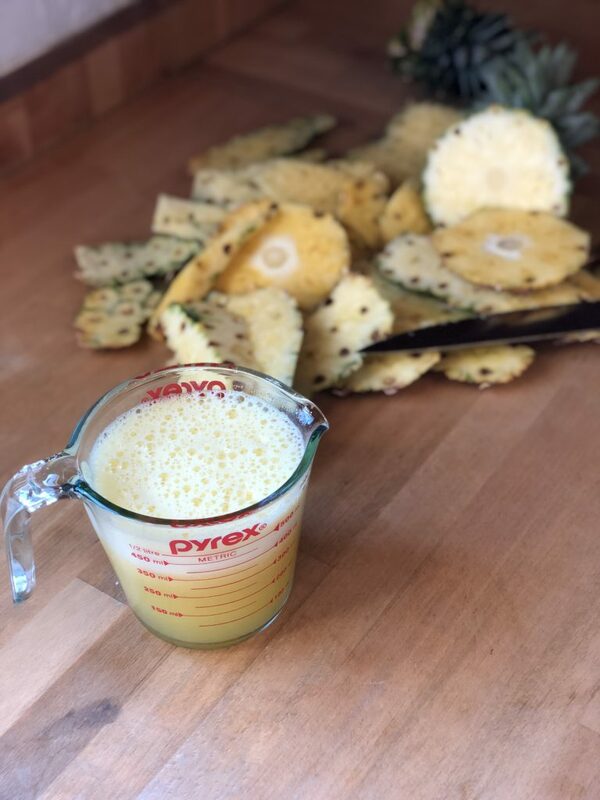 So long story short… drink yo pineapple juice! Tip: The best way to know if a pineapple is good, is to smell it! The sweeter & stronger the pineapple smells the better it will taste! So yes you may look like a weirdo smelling all the pineapples at the grocery store…. but trust me, it’ll be worth it! 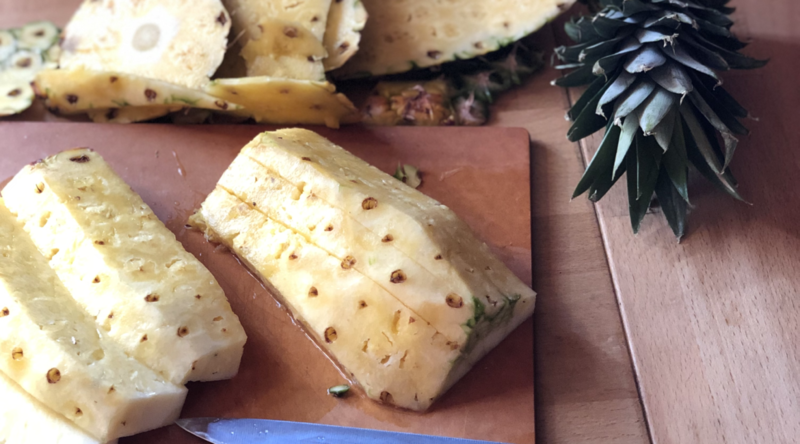 Slice pineapple into thin long slices. Place slices through juice & juice! You can serve cold or even over ice! Store in your fridge up to 72 hours.